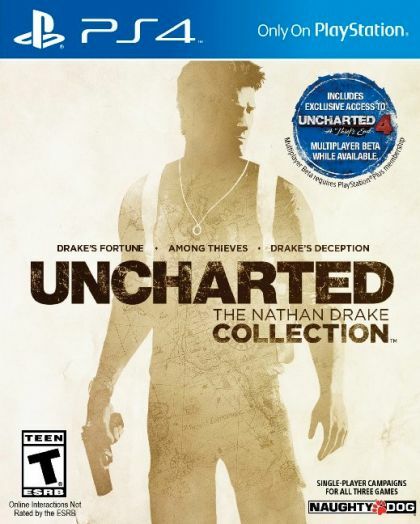 UNCHARTED: The Nathan Drake Collection includes the singleplayer campaigns for UNCHARTED: Drake's Fortune, UNCHARTED 2: Among Thieves, and UNCHARTED 3: Drake's Deception. Photo Mode - Freeze gameplay at any time and take control of the camera to capture your most memorable moments from the trilogy to share with friends directly from your PS4 system. Utilize graphical filters, camera controls, and other options to customize your shot.